One of the great things about living in Italy is that you can go out and eat really good pizza for very little money if you know the right place to go. One such pizzeria is Nestor in Verna, just outside the small town of Trestina in the Upper Tiber Valley. The pizzas are cooked in a wood fired oven, there is a huge choice that is almost overwhelming. 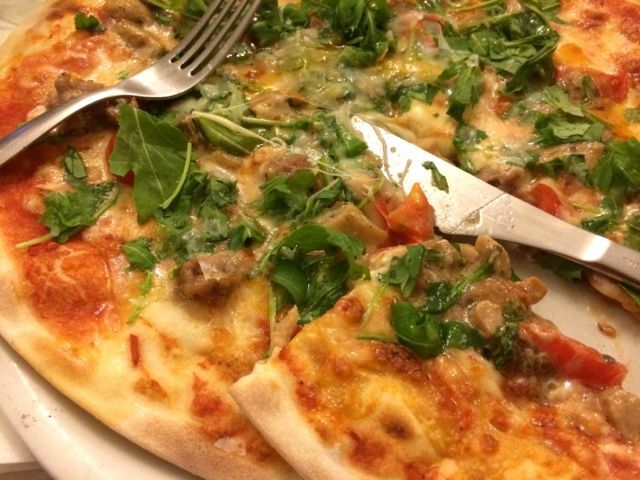 The menu at Nestor concentrates on what they are good at – pizza, so don’t go if you fancy a bowl of pasta!